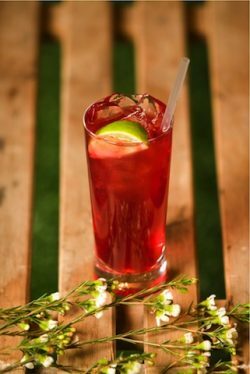 As a drinks writer one is always being sent recipes for the most gorgeous cocktails with the helpful advice that these are ‘easy to make at home’. Truth is most of them require tracking down specialist ingredients and also some level of professional expertise. So, basically, not that easy. With this in mind I’ve been looking at gin drinks that demand almost no effort and have the advantage of using ingredients that are in most people’s kitchens or can easily be bought at the supermarket. With summer on the horizon now’s the time to get stirring. Always use a good quality gin. 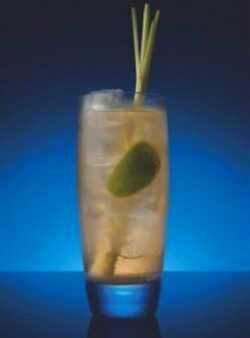 Use a single serve bottle or can of tonic water ideally one with proper botanicals like Fever Tree or Fentiman’s. Take a tall glass with a heavy bottom. Fill it with ice (at least four large cubes) and add a generous measure of gin. Pour in enough tonic water to fill the glass. What you’re aiming for is just over double the amount of tonic to gin ie around 35ml to 65ml. Add a freshly cut wedge of lemon, lime or grapefruit and rub it around the rim of the glass first. Or with some very citrussy gins you can skip the extra citrus. Stir gently with a teaspoon or a cocktail stirrer. You can summer up your G and T by using seasonal fruits and herbs. Sliced up strawberries with a sprinkling of black pepper or a few leaves of torn up basil work a treat. Cucumber obviously a la Hendricks or slice of red apple a la Caorunn. A sprig of rosemary or lemon thyme adds extra herbaceousness. 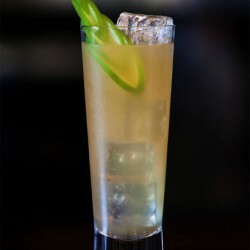 We also like the Pickering’s serve with a stick of lemongrass, handy for stirring too. 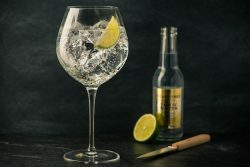 I’ve always had a theory that those who say they don’t like gin actually don’t like tonic water which can be a bit of a Marmite flavour and somewhat overpowering. Let me introduce you to the Collins family. 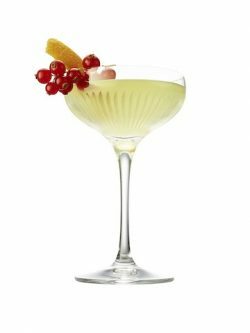 The most versatile of gin drinks, the Collins’ basic combination of gin, sugar syrup, lemon juice and soda water can be played around with endlessly to reflect the taste profiles of different gins and to accommodate seasonal flavours. The beauty of the Collins is that its ingredients are simple and found in every kitchen. Add the lemon juice and sugar to a tall glass and stir until the sugar has dissolved. Add the gin then fill the glass with ice and stir. Top up with soda water and stir carefully once more. Garnish with a fresh lemon wedge. And then there’s the very delicious Elderflower Collins a summer staple chez Gintime. In a tall glass stir the gin, cordial, sugar and lemon juice really well until sugar is dissolved. Fizz up with bottled soda water stirring continuously as water is added. Add ice. 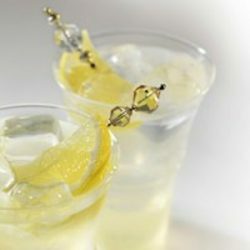 If you’re making for a few friends you can prep the drinks first and only add the soda water and ice when they arrive. Once you start looking outside tonic water as the default mixer for gin there are some lovely taste combinations to explore. Gin and Appletiser anyone? Delicious when made roughly the same 30/70 proportions as the G and T. Or gin with cranberry juice and a wedge of lime. Gin and bitter lemon, once a staple alternative to the G and T, is also a fantastic combination with loads of ice. The best bitter lemon is undoubted Fever Tree. It’s made with fresh lemons and natural quinine and has none of that over sweet, cloying flavour that has given commercially produced bitter lemon a bad name. Add the lemon juice, elderflower cordial and gin to a tall glass. Stir. Add plenty of cubed ice. Stir again. Top with soda water then stir for a final time. Garnish with a lemon wedge. Stir, add ice and serve in a tall glass. This basic recipe makes 2 drinks but this a super easy one to make for a crowd by adjusting the proportions and making in a jug. Can also be prepped before, imply add ice when your guests arrive. Pour ingredients into a mixing glass three quarters filled with ice cubes. Stir until ice cold. Strain into a chilled martini glass. You can garnish it to look pretty or with a slice of lime peel. We prefer it ungarnished and very very cold. This is another one where you can multiply quantities to make more.